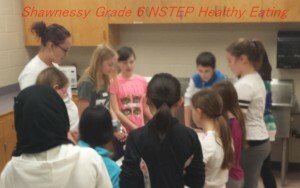 Shawnessy YMCA Grade 6 NSTEP Healthy eating workshop. 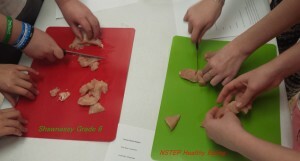 Last Saturday February 14th 2015 Shawnessy YMCA hosted our monthly Calgary Flames Grade 6 Member healthy eating workshop with our partners NSTEP. 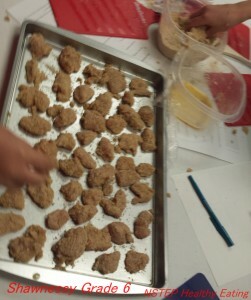 The kids had requested being able to make healthy chicken nuggets, made with home-style ingredients and no preservatives. They really enjoyed the outcome! After splitting into groups the kids each got to try cracking eggs (only one went on the floor! ), cutting up the chicken and using the oven. Our NSTEP Healthy Eating workshop will be returning next month on march 14th 2015 and is open to all grade 6 members, to register simply email me with your name, phone number and any food allergy’s! Reaching for a bag of cookies appears to be a cheap and tasty option rather than fresh produce in the moment however in the long run fresh and nutritious options are the better choice. If the produce or fresh meat section is new to you it can take some time and effort to understand your savings. Start by pre-planning out your menu for the week. This way you can see which items are going to be used numerous times throughout the week and purchase them in bulk. For example, chicken is a very popular and familiar protein choice, if you notice you are going to use it on numerous evenings buy a case from Safeway instead of single packs. Items you only need a small amount of you can purchase tablespoons to cups from the bulk bin. 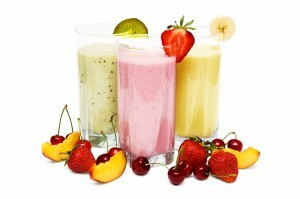 Wholesome foods keep you fueled longer. Indulge on McDonalds for lunch and you will be hungry within an hour stopping off at Tim Horton’s and digging for your wallet again, have a nutritious and balanced meal for lunch and you will be full and energetic for hours. Worried about wasting food when you cook a big batch of something? Use your freezer, not only do you save food but you are also prepped for those days you find yourself running out and want to opt for something unhealthy you can grab it and go. You can also utilize your freezer by purchasing meat and fruits that are on sale. Organic and nutritional baking supplies may look intimidating at first however a bag of whole wheat flour or extra virgin olive oil can last you for months. By having supplies on hand you will also be more inclined to make items such as pie crust or muffins from scratch which is cost effective and has a much higher nutritional value. As summer season sneaks upon us there are endless nutritious options to choose from. This is the best time of year for all colors of the rainbow of fresh fruit and vegetables! Visit the Farmers Market: They have a ton of in season fresh summer fruit (peaches, nectarines, plums, cherries) and home grown vegetables (spinach, lettuce, tomatoes, cucumbers). You will find a little trip to the farmers market may inspire you to try something new and because most of the selection is fresh and local you can avoid a large amount of additives and sodium! Barbeque Fresh Fruit for Dessert: Pineapples, peaches and apricots are among the many fruits that are delicious items to grill; all you need to do is sprinkle a little bit of olive oil and place on the grill for a few minutes. The taste is rich and fulfilling while being nutritious. If you would like to indulge you can add a scoop of frozen yogurt or ice cream on top. Hydrate: Summer is one of the most important times of year to make sure you have water before, during and after exercise as well as throughout your day. The body thrives on two liters of water per day to function at its optimal capability. If you wait until becoming thirsty you’ve waited too long. Thirst is an indicator that the body is dehydrated so make sure to be drinking water throughout your entire day. If you struggle with remembering, try labeling your water bottle to indicate target levels for consumption throughout the day or set your phone alarm to remind you every hour. Engage in Food Prep: With longer sunny days most people want to spend the maximal amount of time outdoors and don’t want to think about cooking. Spend one afternoon each week in your kitchen prepping items, marinating and planning your weekly menu to make food prep more efficient. In the end, you’ll be able to grab and go without compromising nutrition. Most off all enjoy your savory moments! Nutrition goes hand in hand with running. If you are eating improperly before or during a race, you may find yourself running into a few problems. In the spirit of this series about my tales and lamentations of running, I shall share a story with you, a tale of an upset and turbulent tummy. It was the 2010 harvest half-marathon. The sun was shining on every runner who ran that beautiful course through Fish Creek Provincial Park. On a side note, that is my absolute favorite course. I have raced it once and ran it on my own time at least ten times over, excellent course! If you ever want to come run it with me, give me a call and we will party on the trails! Alright, where were we? Yes, Harvest half! Gorgeous day, but I came a little too prepared. I thought I would put a little rocket fuel in my system, be prepared with a wicked boost to carry me along! I had an immense number of power bars, and power gels! The contents of my waterpack looked like the evidence of Running Room robbery! Nevertheless, I was under the misconception that I needed all of this to fuel myself! The gun went off and I burned it off the line. I went up and down the hills like a champion, and then I made the mistake to pillage my robbery bag. I downed one powerbar, then another one. At 15 km, I ripped open two Powergels and swiftly ingested the contents with the might of Thor. I am heroic! I am fueled! I am ready to go! Soon after this, my stomach fluid turned from an elegant pond, calm and serene, to a storm on the high seas. My face went green and I felt my yellowing eyes bug out of head. I felt so nauseated, but purposed to not be one of those guys reproducing their breakfast on the side of the course. I thought happy thoughts of Pepto Bismol, Ginger Ale, and crackers. Deep breath in, deep breath out. Make it to the finish line! I completed the race in under 2 hours, but my stomach was less than pleased. However, I learned a great lesson that day! Powergel’s throughout the duration of a half-marathon or full marathon. Powerbars have never worked for me during a race, because they are too heavy, too much too digest. However, after the race they are excellent. Personally, I love the Peanut Butter Chocolate Protein Plus Bar. In the words of the Lucky Charms Leprechaun, they are magically delicious. Don’t eat too much before or during a race. You will not be able to perform to your maximum potential because your body will be conflicted between your circulatory system and your digestive system. Running is beautiful; don’t mess with the Mona Lisa. If you enjoyed reading this series, please comment below and let me know! Read the article in full on the PopSugar website. Read The Truth About Canned Foods on the Prevention website.